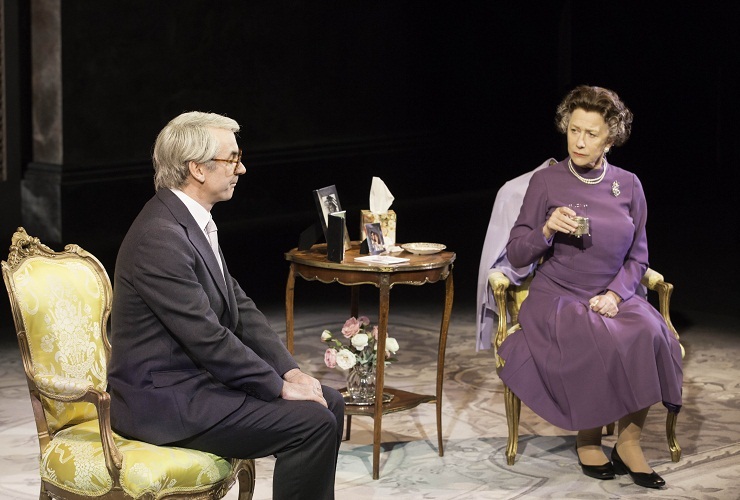 Affectionately warm and devilishly witty, The Audience provides a fly on the wall insight into sixty years’ worth of meetings between Queen Elizabeth II and her Prime Ministers. 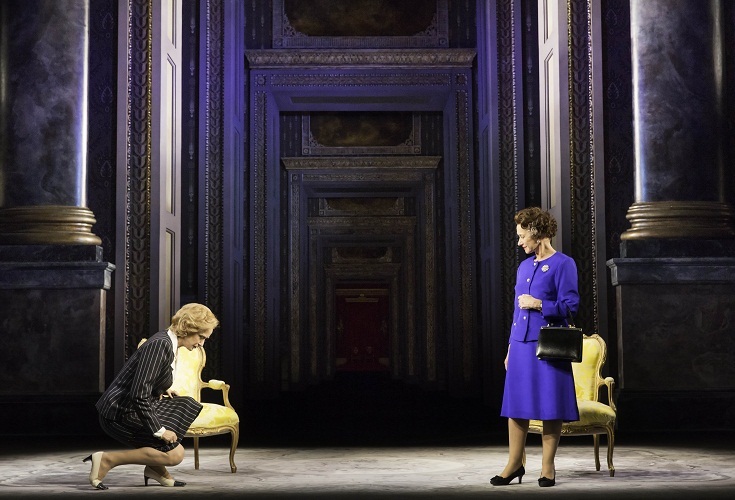 A huge hit on the West End this year, NT Live brings the play to cinemas in a special presentation that is really not to be missed. Author Peter Morgan has taken the scene in which Tony Blair meets with Her Majesty in his 2006 film The Queen and expanded it to cover a range of key meetings over the decades. While the concept is based entirely in fact, as such meetings do occur each Tuesday afternoon at Buckingham Palace, the intricacies are imagined, as both parties keep the details of the meetings secret. Morgan uses a clever mix of current affairs, social issues and family affairs from each period, adding further interest with a non-linear timeline. Little knowledge of politics or world affairs is needed to keep up with the action, with deft sprinklings of times, places and names providing all the help that is required. 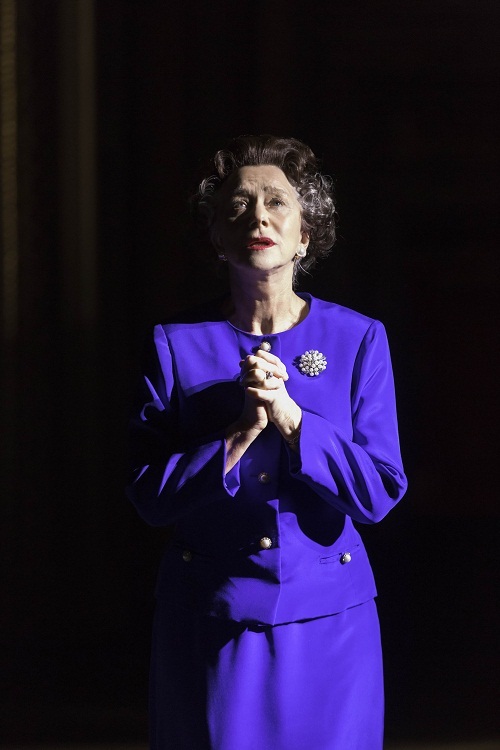 Besides Winston Churchill (a deliciously crusty Edward Fox) the best-known PM is arguably Margaret Thatcher, and her Audience is played as a major act two set piece. 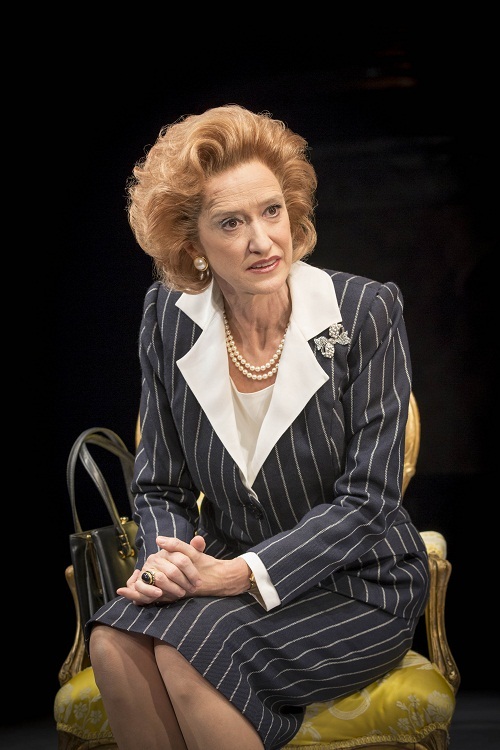 Haydn Gwynne (the original Mrs Wilkinson in Billy Elliot the musical) has perfected the breathy voice of Thatcher, and her considerable stage presence raises the stakes in this dramatic sequence significantly. Richard McCabe gives an endearing and moving performance as Harold Wilson. Director Stephen Daldry (Billy Elliot) creates plenty of visual interest despite the largely static nature of the conversations. Humour is wonderfully dry, with moments of comedy often coming from just a raised eyebrow or a pregnant pause. Transitions are covered by commentary from the Queen’s Equerry (the noble Geoffrey Beevers) or appearances by Young Elizabeth (the winsome Nell Williams). Design is by the utterly inestimable Bob Crowley, who achieves a rich lustrous look for the main room, and adds interest in act two with a picturesque scene at Balmoral Castle. Crowley’s gorgeous costumes are a character in their own right, and are the focus of an interesting featurette during the interval break. He even sneaks in a full coronation ensemble, with one of the Audiences taking place immediately after a photography session with Cecil Beaton. 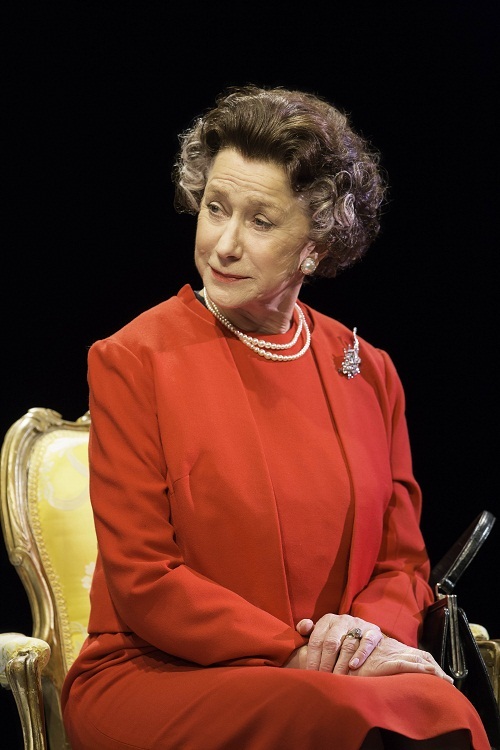 The beacon at the centre of all this wonderful creativity and flair is Helen Mirren, who delivers a truly marvelous performance as the storied monarch. Delivering zingers with deadpan subtlety and telegraphing so much with a shrug or nod, Mirren commands attention at all times. Of particular note is the way Mirren changes her face and body language as the action jumps back and forth across the decades. 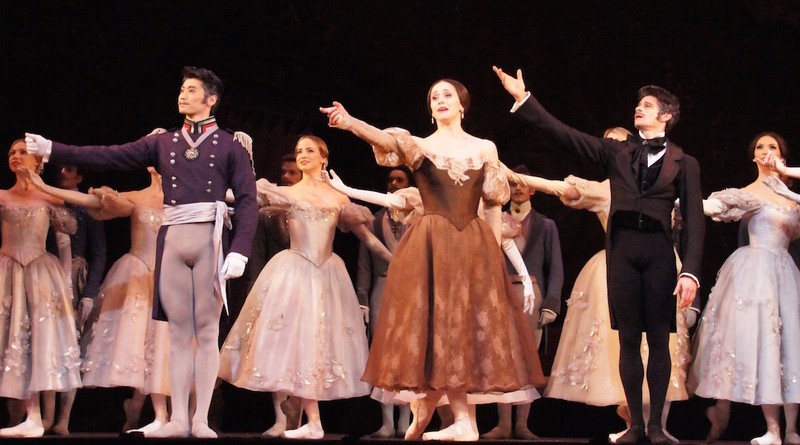 The lightning fast on-stage costume and wig transformations have to be seen to be believed. 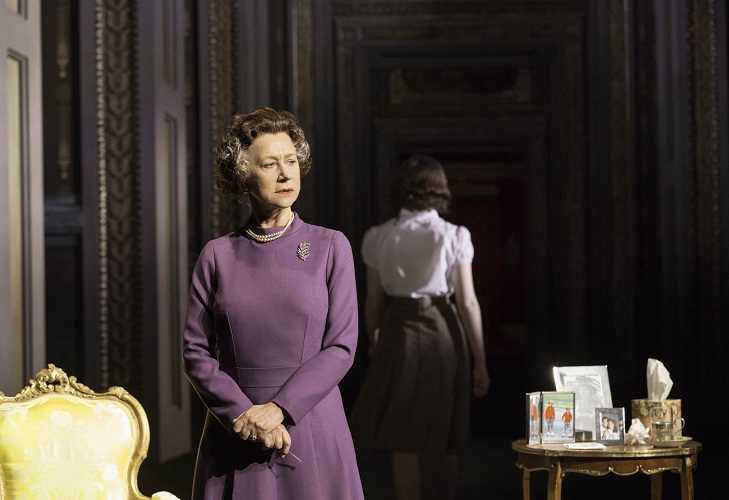 Mirren’s portrayal is so absorbing and convincing that a momentary display of emotion in the moving final scene is as startling and affecting as seeing tears from the real Queen Elizabeth would be. 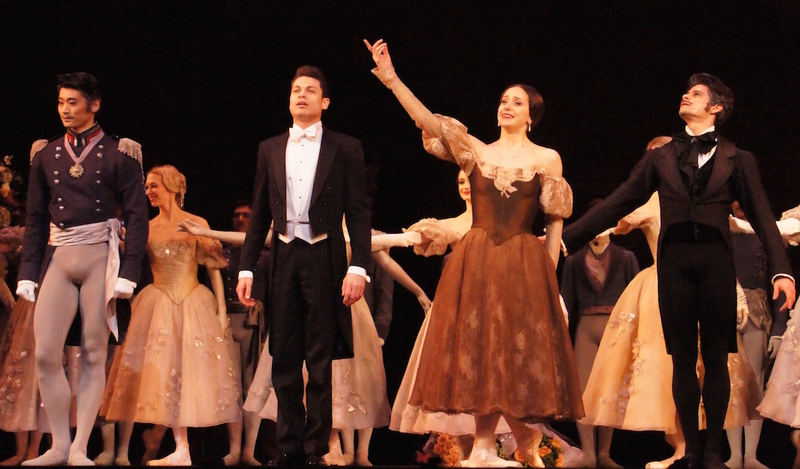 Screenings of The Audience commence across Australia 5 July 2013. More information is available from Sharmill Films and NT Live. 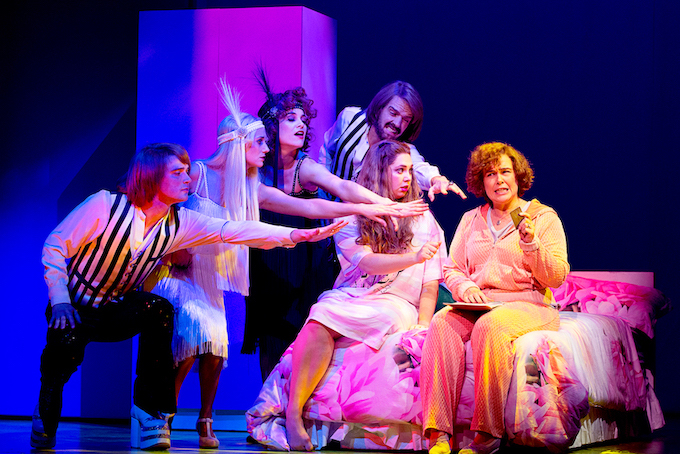 This review published on Theatre People 3 July 2013.